The Talent is one of the most acclaimed wedding bands in Morocco, performing to both large and small receptions in Marrakech and guaranteeing a stellar evening’s entertainment. A band for hire for over 15 years, Marrakech is one of the newer locations to welcome The Talent, and is quickly becoming a favourite place to hold a wedding, but The Talent’s tried and tested repertoire of over 500 classic songs is well up to the task of keeping your guests entertained long into the night. 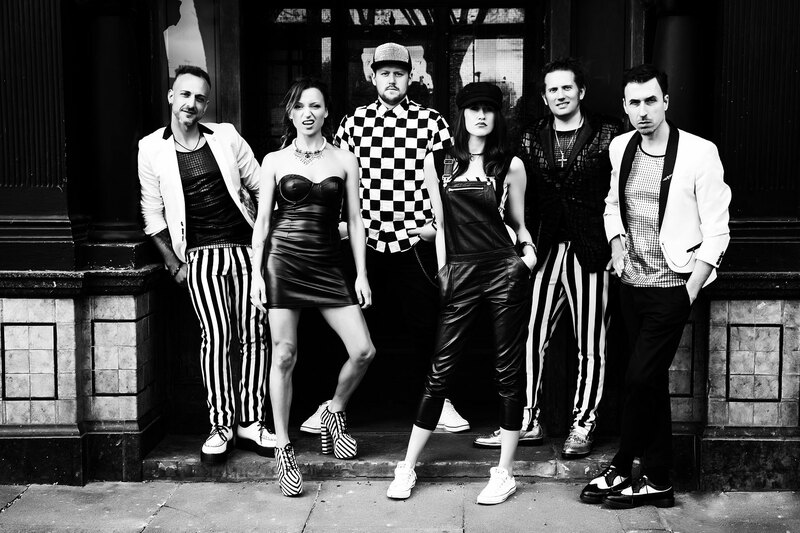 Having previously performed alongside A-list acts such as Westlife and Jools Holland, The Talent is no ordinary band for hire, able to deliver a setlist that mixes genres such as jazz, swing, dance and more with ease. We can create an intimate atmosphere at a small venue just as readily as we can pack out a huge arena (we’ve previously performed at the O2 and The Royal Albert Hall, to give you an idea of the size of audience we play to! ), so your reception can be just as exciting as the wedding. The Talent are renowned across the globe for a reason, and our reviews include delighted testimonials from the like of the HRH The Duke of Cambridge (and 48,000 scouts at the 21st World Scout Jamboree), among other celebrities. One of the busiest bands in the whole of Europe, The Talent’s packed schedule usually consists of something like 1000 gigs in 5 years, with 3-4 gigs a week on average, and our crisp, professional PA system and polished service ensures your satisfaction. The Talent’s great strength is the adaptability of the band. 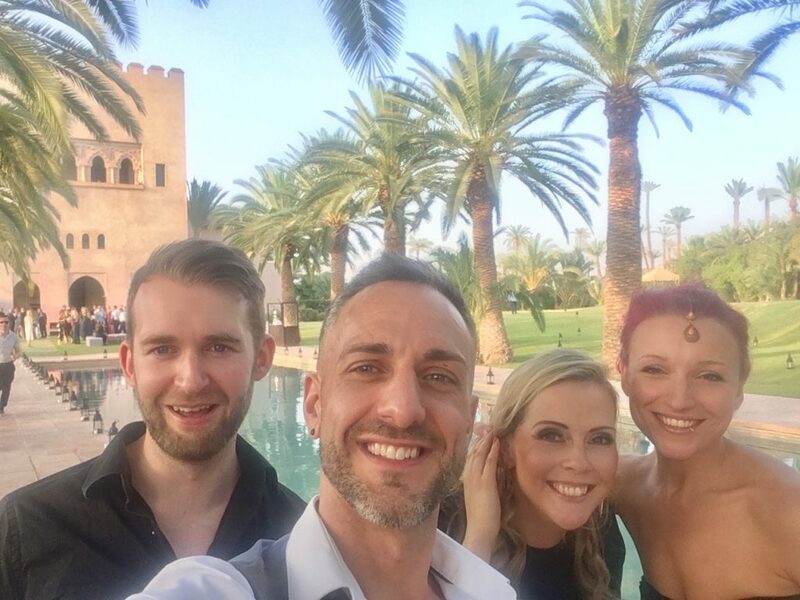 When searching for a wedding band in Marrakech, people often find their options limited, but The Talent can perform as an acoustic duo, a 3-piece band, a 12-piece band, a number of configurations in-between and more. 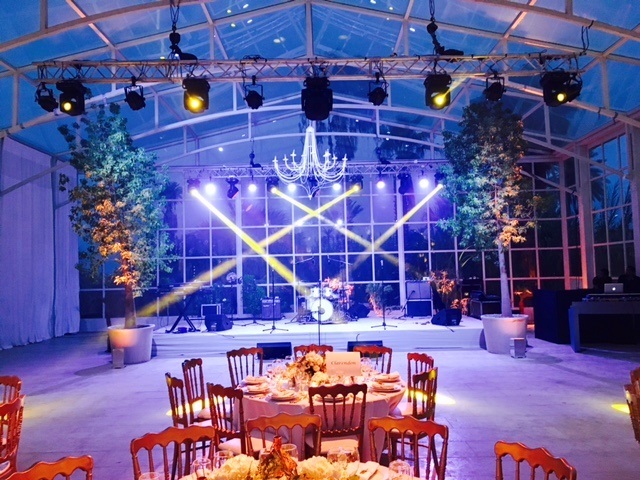 In fact, even the lighting of your wedding can be customised via our superb provider, The Talent Events, so the whole atmosphere – from sound, effects and lighting, to setlist and band presence – is yours to arrange. To book Morocco’s premium wedding band, look no further than The Talent. A truly great party band with an energy and stage presence like no one else, you won’t regret your choice of wedding entertainment. In fact, that’s the key: your choice is exactly what we’ll deliver. Just give us a call on 01206 820212, email info@thetalentevents.com, or leave a message online and we’ll soon get back to you.